How many doors did your team hit per day? 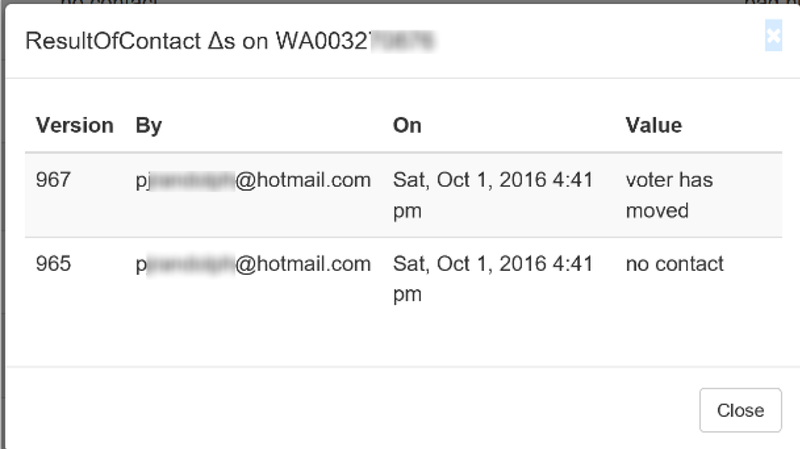 Who exactly did you contact and what was the result? Pull the details into excel for further analysis. How many supporters did you identify? 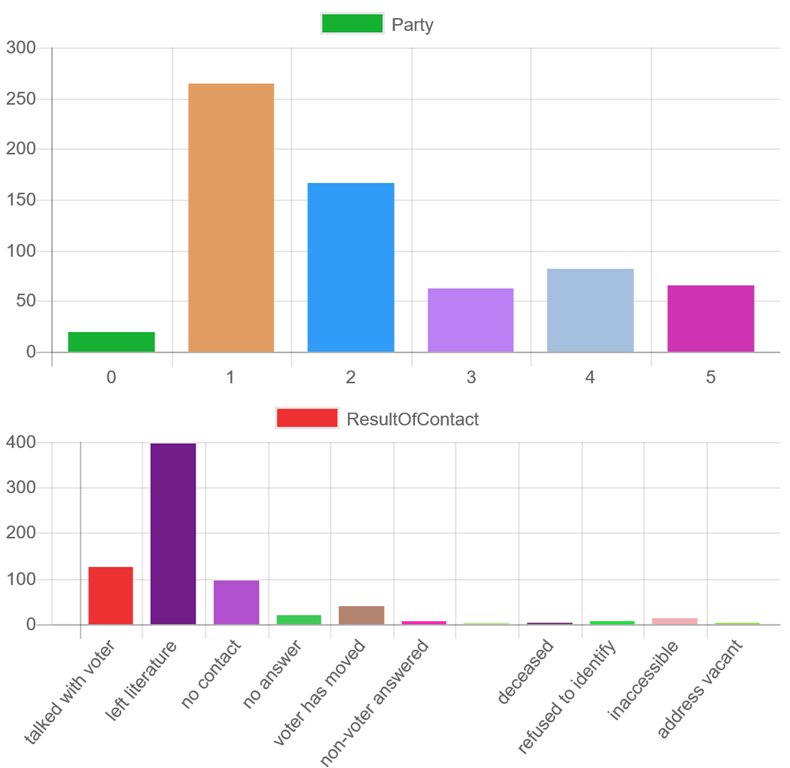 What was the specific result for each canvasser? Which volunteers should be rewarded and which need more coaching? Are there suspicious trends in the data? Or by appending &plugin=Blame2 at the end of your login link. TRC tracks each individual edit supplied by a user. An edit includes not only the actual change to the sheet (“voter #5472 is a supporter”), but also timestamps, geo location, user id, and even which plugin made the edit. 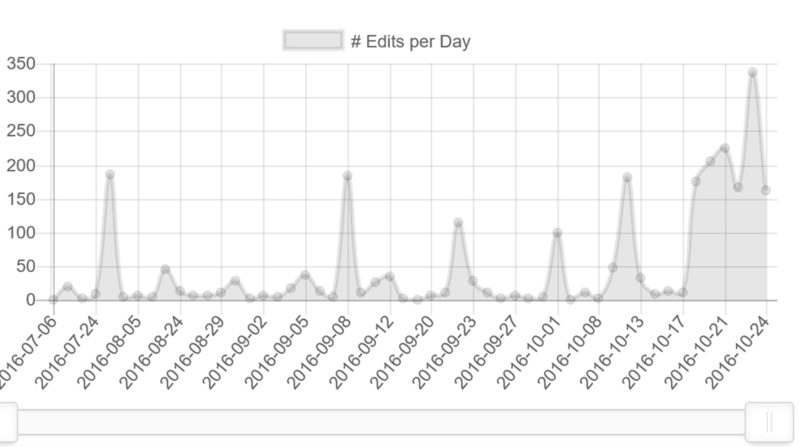 There’s a timeline chart showing you edits per day. You can use the slider bar at the bottom to zoom in on a range, such as a super Saturday. Blame provides pivots. For example, you can see number of supporters identified and by whom. If a single record has multiple changes, blame will flag it and let you drill into more detail and see the exact history. This can be useful to identify records changed by multiple people. 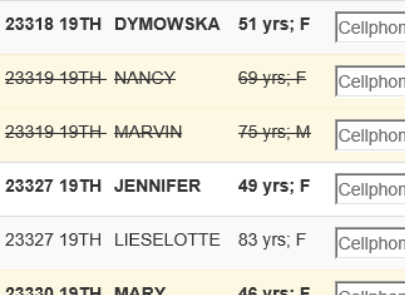 Voter names, age, addresses Secretary of State VRDB Perfect – the SOS is the source of truth. Map view Geocoding address to get a Latitude and Longitude High – we try to get the pin right on the house. GOTV – did you mail in your ballot? County auditor High – but there can be a lag between when the ballot is mailed and when the auditor reports it. Past Precinct Results Secretary of State Perfect – although precinct boundaries and populations change over time. Party Id is determining which party a voter is aligned with. Democrat? Republican? Libertarian? Other? A common convention is assigning a “party id score” that’s a scale of 1 (hard gop) … 5 (hard democrat). 3 is independent, 0 means unknown. This is crude and deeply flawed (how do you represent people that split their tickets? ), but it’s still widely used be campaigns. While most of the data has an official source, there’s no definitive list of party identification. So organizations that provide party id must make an educated guess based on the data they do know – such as if you voted in the Democrat presidential primary or if your PDC donations show strong contributions to Republicans. If new data comes in, we update the guess. This gets awkward when if the first guess was right and then the 2nd guess is wrong. TRC helps you cope with this uncertainty. Most tools treat the values as static numbers. This unfortunately means you don’t know the source or confidence of a value. TRC them as “Pinned” and “Floating”. 2. But before you change it in TRC, the value is “floating” and can be updated underneath you when we rebuild the models. TRC addresses this by letting you “pin” values, and by giving each user their own “sandbox” that lets them track their own specific values. We mark any Floating values with a “?” after the party id. This lets users know that it’s a guess and may change underneath you. The ‘?’ means that the data can change. The 5 means our guess is hard democrat. 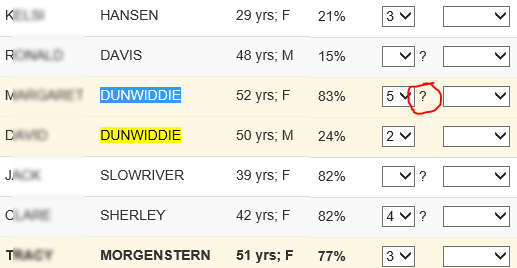 But what if we then see that M Dunwiddie voted in a Republican primary and donated $100 to a Republican candidate? The data team could pick up that data and update the model to a ‘1’. But even then, new data could flip it back to a ‘5’ (such as if the data team later found she donated $10,000 to a democrat). But regardless of what the data team does with floating values, say I then go in and explicitly change her to a 1. The cell goes green, and the question mark is now removed. And when I refresh the browser, the green highlights reset but the question mark stays removed. The lack of question mark tells me the value is now “pinned” and won’t change. This only applies to the Party column. 1. Once the cell is green, it’s saved to the server. This means If the cell does not turn green, it hasn’t been saved. 2. If the party column has a “?” next to it; the value may change on you. This means if it has the correct value, but has a ‘?’ next to it, then go in and deliberately change it and make it turn green. That will pin the correct value.